So far, test audiences have gone wild for Captain America: Civil War. Some have even called it the best Marvel movie yet. And ratings have been through the roof. So while we might otherwise look at any given actor's review of his own movie as suspect, we're inclined to believe Sebastian Stan this time out. 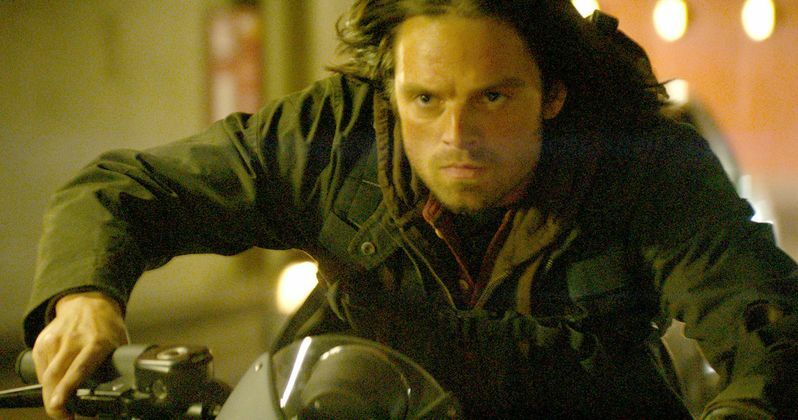 He stars as Bucky Barnes, aka The Winter Soldier, in this third Steve Rogers outing. And he has nothing but praise and curse words to shower down upon his latest work of blockbuster art. Captain America: Civil War is easily one of the most anticipated movies of 2016. And the superhero movie is bringing back nearly every Marvel superhero ever introduced on the big screen along with a few new additions. It is shaping up to be the ensemble to end all ensembles. And the hype surrounding the movie has reached a fever pitch. This past week saw the release of the second full-length trailer, which introduced the word to Tom Holland as the new Spider-Man. And apparently, the movie will live up to everything we've seen and heard thus far. Here's what Sebastian Stan thought of the movie after seeing it for the first time, thanks to Collider. Team Iron Man includes Tony Stark (Robert Downey Jr.), Black Widow (Scarlett Johansson), Vision (Paul Bettany), War Machine (Don Cheadle) and the new character T'challa (Chadwick Boseman), who will make his debut in this movie before starring in Black Panther, set for release on February 16, 2018. Team Cap includes Captain America (Chris Evans), The Falcon (Anthony Mackie), Scarlet Witch (Elizabeth Olsen), Hawkeye (Jeremy Renner) and The Winter Soldier (Sebastian Stan). Marvel's Captain America: Civil War also stars Frank Grillo as Crossbones, William Hurt as Thaddeus Ross and Daniel Brühl as the villainous Baron Zemo. Anthony Russo & Joe Russo are directing with Kevin Feige producing. Louis D'Esposito, Alan Fine, Victoria Alonso, Patricia Whitcher, Nate Moore and Stan Lee are the executive producers. The screenplay is by Christopher Markus & Stephen McFeely. Get ready to pick a side and join the nonstop action playing out on two fronts when Marvel's Captain America: Civil War opens in U.S. theaters on May 6, 2016. Captain America: Civil War will kick off the Marvel Phase Three slate, which is jam-packed with 10 highly-anticipated movies. Following Captain America: Civil War is Doctor Strange, which is currently in production and set for release on November 4, 2016. Guardians of the Galaxy Vol. 2 is also in production, arriving in theaters on May 5, 2017, followed by Thor: Ragnarok on November 3, 2017. Black Panther hits theaters on February 16, 2018, followed by Avengers: Infinity War Part I on May 3, 2018 and Ant-Man and the Wasp on July 6, 2018. Rounding out this Phase is Captain Marvel (March 8, 2019), Avengers: Infinity War - Part II (May 3, 2019) and Inhumans (July 12, 2019). So, what do you think? Can we believe Sebastian Stan? Or is he just a great corporate shill?